Schulz has been campaigning for “social justice” through higher taxes for big earners, but surveys three months before the vote suggest that his call has so far failed to translate into support. Backing for the SPD this week hit a 2017 low, while Merkel’s party is enjoying a lead of 14 to 16 percentage points. SPD party rank-and-file gathering in the western city of Dortmund on Sunday to approve their election campaign programme will be looking for reassurance amid the poor poll numbers. But as Schulz himself had admitted, his party faces a “rocky road” to national elections after it was soundly beaten for the third state election in a row this year by Merkel’s CDU. For analysts, the suddenly waning support for Schulz’s SPD boils down to the government’s success in curbing a refugee influx that saw 890,000 migrants arrive in 2015, deeply unsettling many German voters. Schulz initially “was presented as an alternative to Madame Merkel,” said Gero Neugebauer, a political science analyst at Berlin’s Free University. “He was relatively new and had criticisms against the chancellor’s immigration policy which had divided public opinion,” added Neugebauer. But migrant arrivals have tapered off, and Merkel’s CDU and CSU “have won increasing trust that they have the best strategy to deal with the refugee situation,” Renate Koecher from opinion research group Allensbach Institute wrote in the Frankfurter Allgemeine Zeitung. Schulz’s call for a more equal society may find resonance with the working poor, but Koecher noted that with Germany’s solid economic outlook and record low unemployment, “it is likely to have limited impact”. 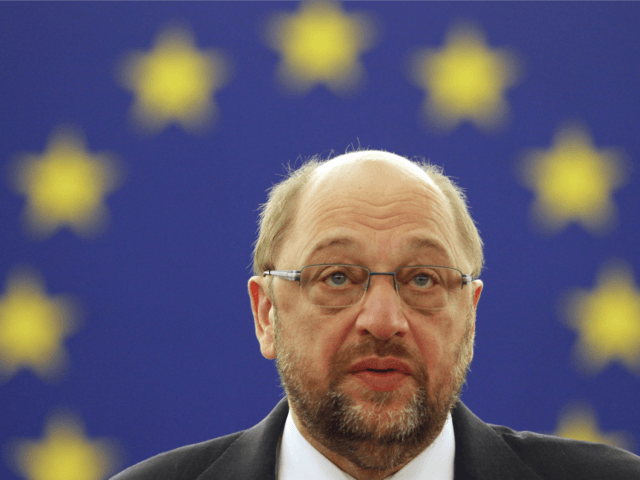 But Schulz is no stranger to bouncing back from setbacks. After an injury dashed his dreams of becoming a professional footballer, Schulz sank into alcoholism before opening a bookstore and becoming an autodidact with six languages under his belt. “The SPD should not be underestimated. Angela Merkel is trying to lull the voters to sleep and keep them away from the election… but she won’t succeed this time,” said Leon Hahn, who heads the party’s youth wing in the southwestern state of Baden-Wuerttemberg. He added that Schulz “is an excellent chancellor candidate with good prospects of winning the election”. “A change at the top is neither necessary nor even seriously considered by anyone in the SPD,” he added.